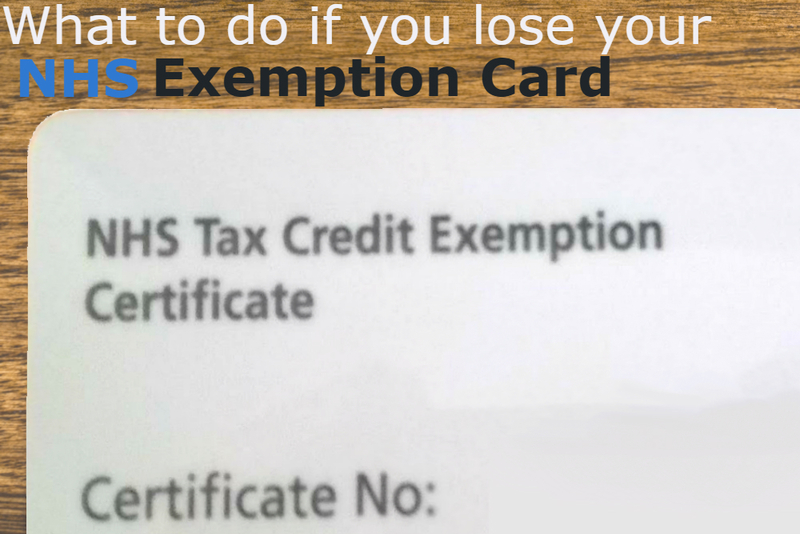 If you have lost your NHS exemption card and you need a replacement you can follow the instructions in this guide to find out how to replace your exemption card and how to still use your tax credit whilst waiting for your new card to arrive. You will be entitled to an NHS tax credit exemption card if your family income that is used to calculate your tax credits is £15,276 or less and you receive working tax credit and child tax credit, child tax credit or working tax credit including a disability or severe disability element. If you meet these requirement HMRC will contact the NHS and inform them of this and you will be sent your Exemption card, you do not have to apply for this. The Exemption card covers prescriptions, dental treatment, eyesight tests, help with paying for glasses/contact lenses, wigs and fabric supports and the cost of travel to receive treatment from the NHS. If you have lost your NHS tax credit exemption card or it has been stolen/damaged you will need to call the NHS to report this, you can call 0844 248 1715. Your new card should be with you before the end of the next month, this is due to the fact the NHS only print these cards once a month. You can alternatively email the NHS or send a private message to some of their social media pages, you can find the links to their social media pages and their email on the NHS Business Services Authority website. Whilst you’re waiting for your NHS Tax Exemption Card replacement if you need to pay for a prescription, treatment or anything else that your exemption card covers you can bring your Tax Credit Award Notice with you to the appointment or pharmacy as it can be used as evidence until your new card arrives to you in the post. If you have lost your NHS Maternity Exemption card and you need a replacement you can call 0844 248 1715. The NHS Maternity Exemption gives your free prescriptions, free dental treatment and is valid for a year after you baby’s due date/date of birth. With the Maternity Exemption card you have to apply by speaking to your midwife, doctor or health visitor, you can apply as soon as it is confirmed you are pregnant. You card will be dated as valid from one month before the NHS receive your application and you should get your card within 10 working days of the NHS receiving your application. You should receive your replacement Maternity Exemption card within 10 working days of you reporting it as lost.